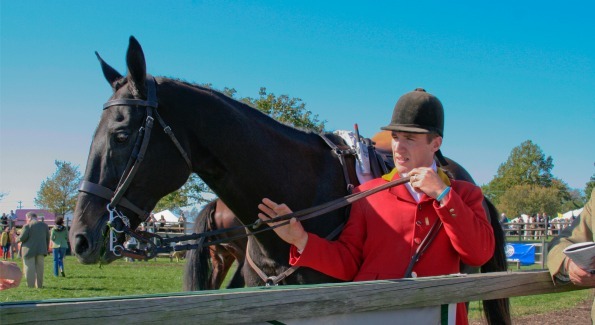 Horse Country: Gold Cup's Race Chic Racing enthusiasts flocked to Virginia for the fall International Gold Cup. 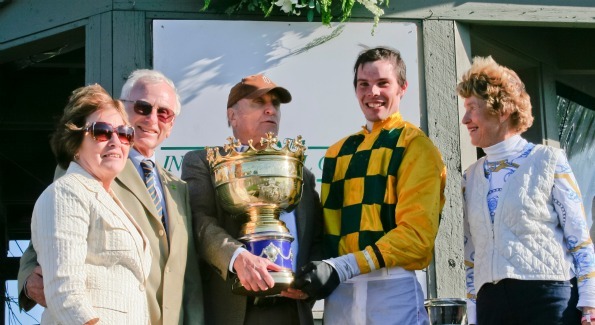 Racing enthusiasts flocked to Virginia for the fall International Gold Cup. Cotton-fluff clouds and a refreshing fall breeze blew gently over Great Meadow in The Plains, VA, on Saturday, as nearly 40,000 attendees of the 74th International Gold Cup Races gathered in tweeds and Laura Ashley, and celebrated the final arrival of peppy blue skies after bleak weeks of rainy weather. Lined up with binoculars and programs, in Old South styled white-picket fenced plots and well-manicured greens, race day revelers were adorned in big hats and racing-chic attire—pooling and betting money on their sires of choice. Even gambling-hesitant types like myself joined in with a few five-dollar bets. Though I lost all but one time, the jubilant atmosphere of Gold Cup quickly put losing bets far from mind. The weather and the fun was just that good. 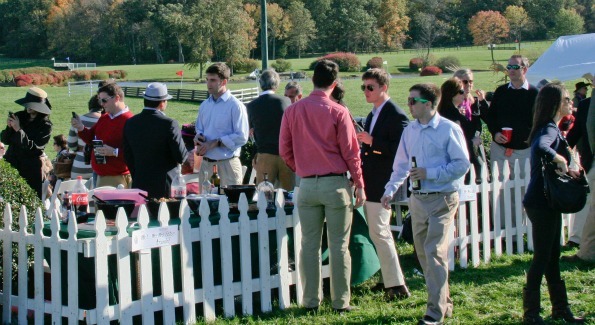 The “people watching” never fails at Gold Cup, as people with names like Mars, Mellon, Matheson and Dupont, who own big farms and estates in nearby Middleburg and The Plains, make this their day in the fall country sunshine. There was a preponderance of Capitol Hill and K Street types along the North and South Rails, and even a movie star who wandered onto Member’s Hill, in a very low-key way. Attired in jeans and a slow-slung cap, actor Robert Duvall dropped by the Washington Life-hosted box at the finish line, greeting friends of the magazine like Ernie Arias, regional marketing vice president of Park Hyatt Hotels. Washington Life was proud to be a sponsor of the Gold Cup, presented by signature sponsors S.W. Rodgers and The Virginia Thoroughbred Association. Other brand sponsors included Saks Fifth Avenue, WTOP Radio, Valley Crest Nursery, The Marriott Ranch, Miller Lite, Woodford Reserve, Finlandia and Jack Daniels. As is custom, the national anthem and color guard kicked off the day, with Davone Tines delivering an exquisite National Anthem. The Jack Russell Terriers were up next, making their short-legged scramble around the course and over tiny little fences. With a shortened card of six races and $170,000 in purses up for grabs, every race had a full line-up of at least a dozen thoroughbreds ready to run the three-mile course over Timber or Brush. “The footing was excellent, one of the best I’ve seen in a long time,” Bobby Hilton, Great Meadow’s groundskeeper, said afterwards. Meritage Racing‘s “Inti (Uru)” with jockey Roddy Mackenzie captured the $15,000 purse in the first race, The Virginia Gold Cup Maiden Hurdle, and Michael Smith‘s “Humdinger” won $20,000 in the second challenge, The Moriah Steeplethon, presented by S.W. Rodgers, Inc. In the Airbus Chase, presented by Airbus Americas, Irvin Naylor‘s “Lake Placid” took the $25,000 purse, with jockey Carl Rafter onboard. 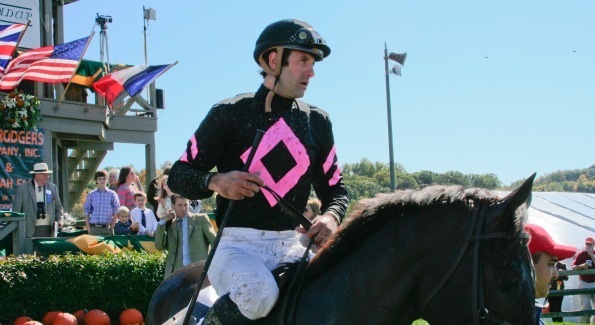 Debra Kachel‘s “Black Bag” with jockey Florence Patarin steering, won the Fegentri World Cup Flat, while Robert A. Kinsley‘s “Incomplete” with Mark Beecher steering, took the featured race, the $50,000 International Gold Cup Timber Stakes. The last race of the day, The Old Dominion Turf Championship, presented by The Virginia Horsemen’s Benevolent & Protective Association and The Virginia Thoroughbred Association, was won by Alix White‘s “Tu Baku,” taking home $10,000. And myself, not feeling any less the poorer for losing a few five dollar bets at the racecourse, headed back with my friends to D.C., and the awaiting Real World which on Saturday seemed postponed for a few hours of exhilarating fun in the fall countryside. 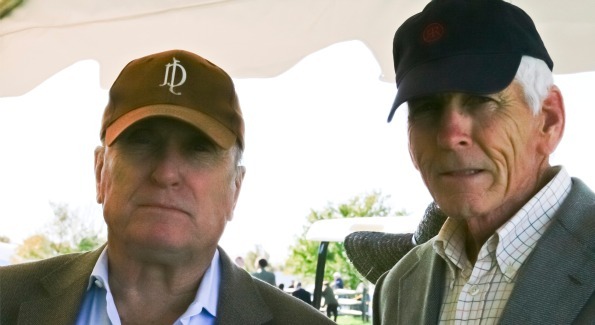 Actor Robert Duvall and Charley Matheson of Marshall, Va. at the 74th International Gold Cup Races. Photo by John Arundel. 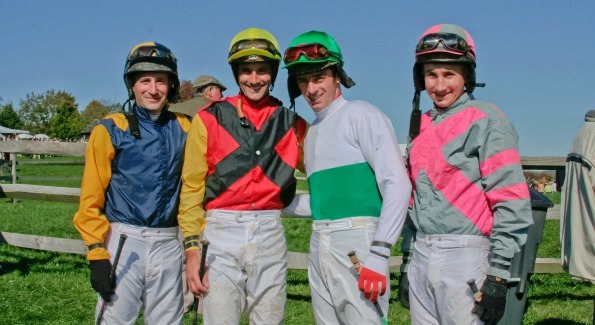 Blue skies and rolling greens set the scene for the 74th International Gold Cup Races. Photo by Connie Dale. The Gold Cup races set up both horsemanship and sportsmanship. Photo by Connie Dale. Winners and spectators alike enjoyed the day's events. Photo by Connie Dale. Washington Life & Friends at Broadview Box No. 1, Virginia International Gold Cup. Photo by Connie Dale.